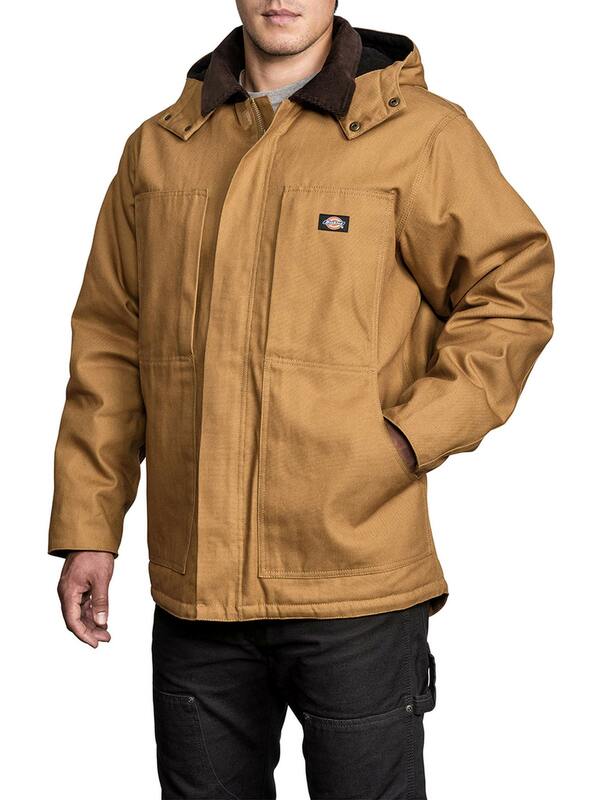 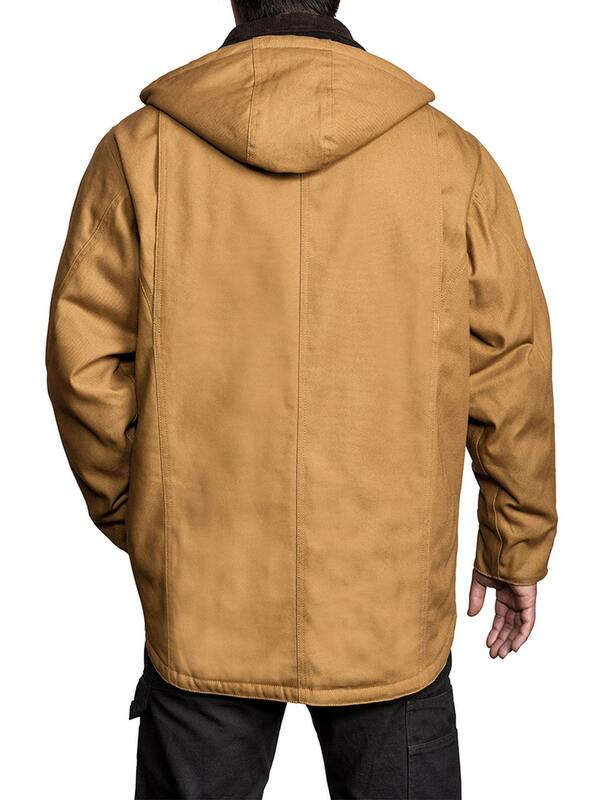 Our premium duck hooded jacket features a removable snap three piece hood. 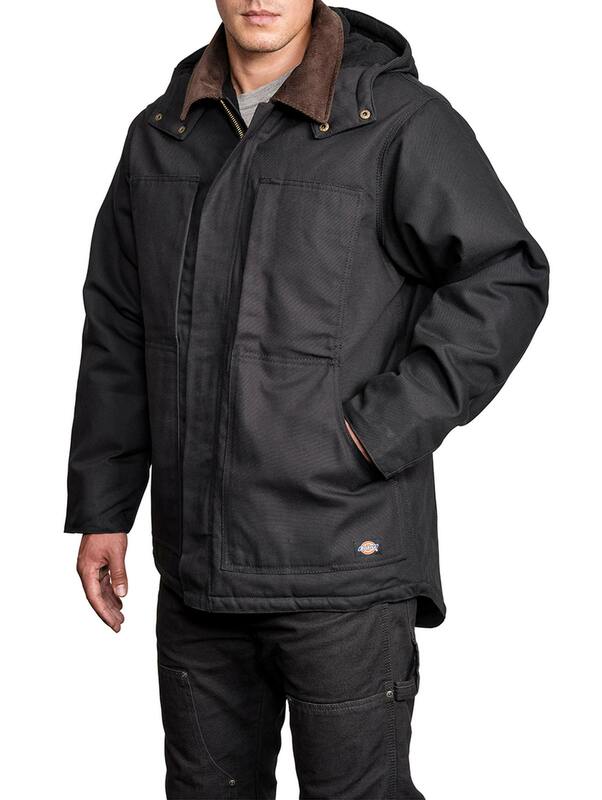 It protects against the elements with a warm lining and storm cuffs. 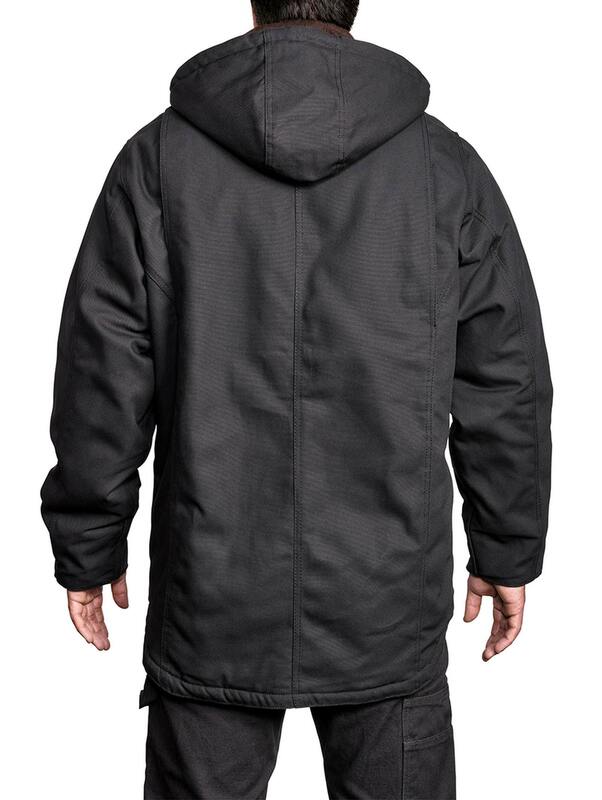 Being water repellent it protects against the wind, rain, and snow.